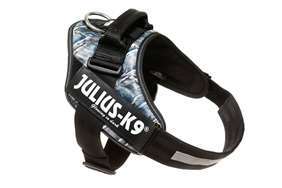 American Cocker Spaniel - Julius-K9 harness size 0 - Las Vegas K9 Inc. The smallest member of the sporting group, the cocker should be compact and sturdy. Its gait is ground-covering, strong and effortless. The coat is silky, flat or slightly wavy, not overly long. Excessive coat can hinder the dog in the field. The head and expression are hallmarks of the breed; the expression is soft and appealing. 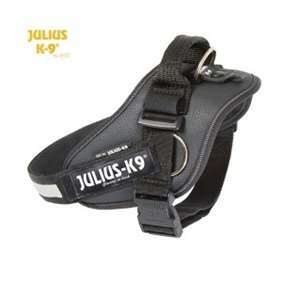 Though seldom used for its original purpose, the cocker should still be able to spend a day in the field and should be balanced and athletic. It is true, however, that most cockers now have too much coat for field work. 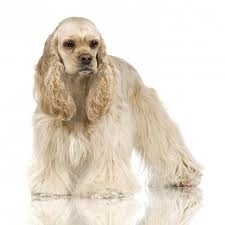 This breed is known as the "merry" cocker, and the name is most fitting. It is playful, cheerful, amiable, sweet, sensitive, willing to please and responsive to its family's wishes. It is not known for retaining its hunting instincts, but it is inquisitive and will appreciate a country outing. 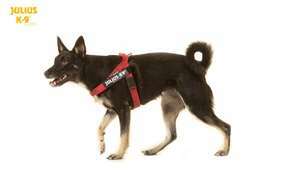 It is equally at home in the city and will happily walk on leash for its exercise needs. Some bark a lot; some are overly submissive.